We’re upping the ante on Hoosier Park’s guaranteed Pick 4 on Thursdays with some insurance. 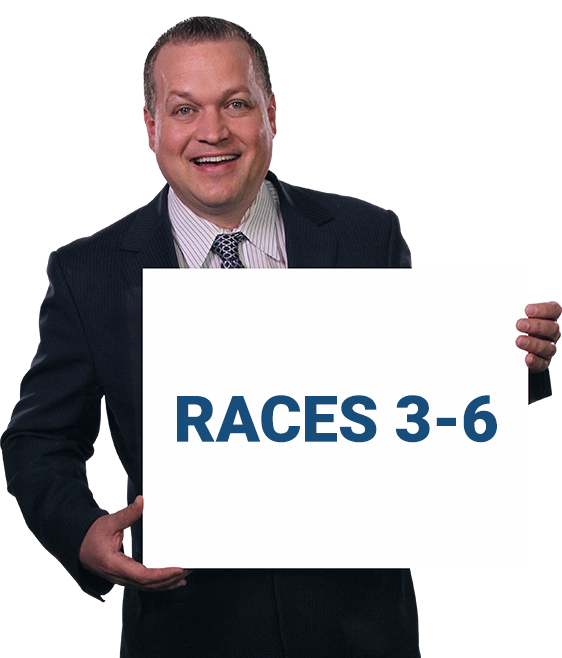 Every Thursday through May 30th we’ll refund your first bet on the guaranteed Pick 4 (Races 3-6) up to $25 when your ticket has winners in three legs and loses in only one. Just opt in, then bet with confidence as we take some of the sting out of the close calls. AWARE - Always Wager Responsibly - National Gambling Helpline: 1-800-522-4700. The Pick 4 Insurance – Hoosier Park (“Promotion”) is only open to TVG account holders in TVG Participating States, age 21+, invited 4NJBets account holders who are legal residents of New Jersey, age 18+, and invited PABets account holders who are legal resident of Pennsylvania, age 21+. Void where prohibited by law. Must opt-in to participate. Promotion held on every Thursday between 4/4/19 and 5/30/19 (each, a “Promotion Day”). Eligible individuals who place a real money Pick 4 wager on the Pick 4 wager sequence starting on race 3 (an “Eligible Wager”) at Hoosier Park on the Promotion Day, and in the event that only one out of the four races constituting your Eligible Wager does not win, you will receive the amount of your Eligible Wager up to a maximum of $25 (the “Bonus”). Only the first wager placed on the Pick 4 wager sequence starting on race 3 on the Promotion Day will count as an Eligible wager. The Promotion invitation is non-transferable. Individuals may qualify for more than one Bonus. Wagers made prior to opting-in will not qualify as Eligible Wagers. See full Terms and Conditions for details.